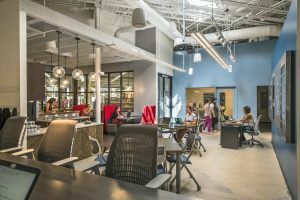 When the Massachusetts Co-working Network Workbar teamed up with Staples to open a new type of co-working space, they reached out to long-time Staples partner, Coastal Construction. 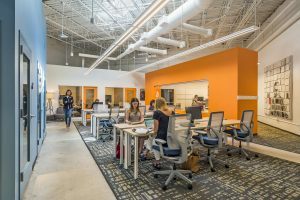 Not only did we have to construct all new co-working office and conference room space within existing active Staples stores, each location represented a totally different concept with its own unique features. 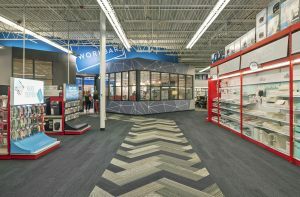 And on top of that, construction had to occur while the stores were open with minimal impact to day-today business. 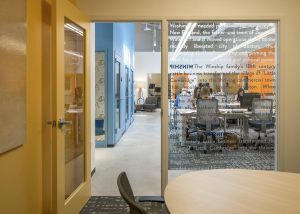 Needless to say, Coastal’s project managers played a key role coordinating all aspects between Workbar and Staples — from budgeting, concepting, design and implementation.